We all have to learn sometime and it is best to have someone teach you rather than trying to learn on your own. 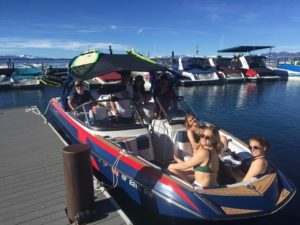 This 2 hour hands-on course is taught on your boat and is designed for the 1st time boat buyer or those who want to know the ins and outs of boating. 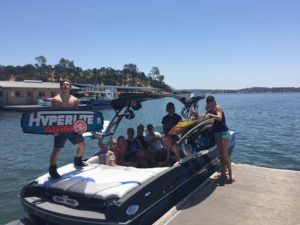 During this course we teach every aspect of boating including: backing down the launch ramp, launching and reloading the boat, boat operations, rules and regulations on the water, as well as how to tow wakeboarders, skiers, tubers and knee boarders. 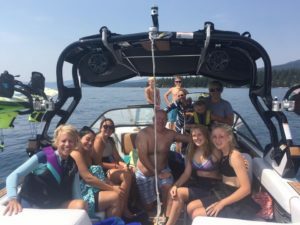 We designed this course to help people feel more confident, have fun, and feel safe while boating. We will answer all questions while you learn at your own pace. We guarantee to be very patient with you because we know how know what it was like to first learn. Of course spouses and/or family members are always welcome to join the class (at no additional charge).